You filed for a tax extension this past April 15th, and bought yourself a bit of time to get your final tax return into the IRS. 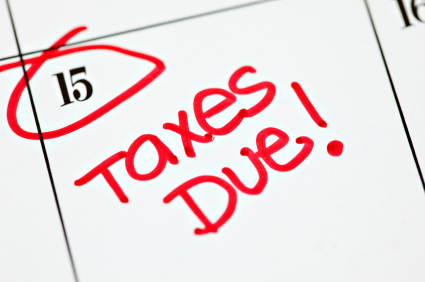 The clock’s been ticking and the October 15th tax deadline is approaching. Hopefully, you’ve spent this time gathering your documents: the W-2s, home mortgage interest, etc. You know, those ‘usual suspects’ for the itemized deductions you’re permitted to take to get a bigger tax refund. Today, we’ll discuss job related tax deductions that you may not be thinking about. Unreimbursed employee expenses – IRS regulations permit you to deduct such out of pocket expenses if they are ‘ordinary and necessary’ to your job function. ‘Ordinary’ meaning that it’s a commonly accepted practice in your trade or business, and ‘necessary’ in the sense that it’s appropriate and helpful to your job. Bringing a client to a local baseball game might be an accepted form of client entertainment. Flying he and his wife to the Superbowl? Not likely to pass. Items that are commonly in this category include professional journal subscription costs, work-related classes, and licenses. Work clothes and uniforms – That beautiful suit you wear to the office? Sorry, not a deduction. The IRS is talking about a uniform, such as a police officer might wear to work, or the fireproof shirt, pants, and headgear a welder might use on the job. The common sense test should be used here. A costume, uniform, or protective gear required by your job are part of this allowable deduction. Nice clothes you wear to work are not deductible, even if your employer requests you wear a suit every day. Expenses for searching for a new job in your profession – Looking for a new job? You can deduct certain expenses, but only if you are looking for a job in the same field. Unfortunately, if you’d like to change occupations, no deduction is permitted. The allowed expenses include employment agency or headhunter fees, the cost of producing and mailing resumés to prospective employers, and travel/transportation expenses. You don’t have to worry about knowing all if the tax deductions that will help you get a bigger tax refund. TurboTax is up to date with all of the tax laws and will ask you if you have all of these tax deductions and accurately calculate your tax return based on your answers. Please comment below if this article helped you catch some tax deductions you might have otherwise missed. No I did not file a tax extension last April. What’s wrong with you people.